however, the present location of the downtown Bannu was founded by Sir Herbert Edwardes in 1848, and was formerly called Edwardesabad and Dhulipnagar. It lies in the north-west corner of the district, in the valley of the Kurram River and was a British military base, especially in actions against Afghan border tribes. The town is located at 33° 0' N. and 70° 36' E., one mile south of the Kurram River, 79 south of Kohat, and 89 north of Dera Ismail Khan. 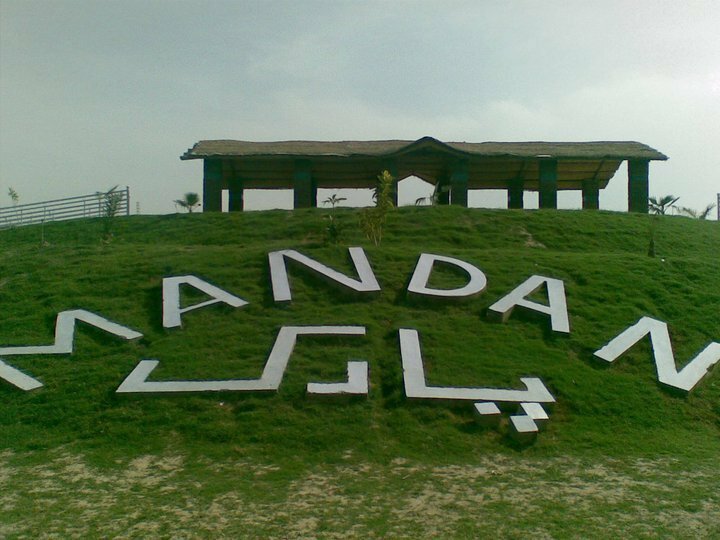 The earliest know village settlement in the Bannu region is the archaeological site of Sheri Khan Tarakai. Military engineering services under the supervision of a Bannu Engineer Ram N. Mullick who graduated from Banaras Engineering College. Mr.Mullick served in Iraq and Lahore before Partition as an expert in heavy earth moving machinery. They moved to New Delhi after partition of India. The routes which figured as corridors of invasion and arteries of international traffic brought not only men and material but also ideas which fertilized all of India. Over the centuries this area was instrumental in the spread of many concepts and intellectual thought. Buddhism found its finest expression here in the Gandhara civilization. And from here it spread northwards to pollinate Central Asia, north-east to China, Japan and the Far East. Then came Islam with its unique transforming sweep. Throughout the ages, Pukhtun tribes, the Afridi, the Bangash, the Durrani, the Khattak, the Mahsud, the Orakzai, the Toori, the Wazir and the Yusufzai, have left their indelible imprints on the pages of history. Other tribes are the Marwat, Mohmand, Gandapur, Swati, Tareen, Tanoli, Jadoon and Mashwani. The Afghan, the Pukhtun and the Pathan are three names of the same people despite shifting political bound¬ aries. In this terrain many civilizations have mixed and min gled, risen and were razed. Its inhabitants have excelled in countless fields of endeavour. The Khyber Pakhtunkhwa is one of the most legendary places on earth. The Khyber Pakhtunkhwa, as it is and was popularly known, of all Pakistan's Provinces, is arguably the most diverse ethnically, the most varied in terrain and sports a vigorous cultural spectrum. Online College Admission System, Government of KP. Higher Education, Archives & Libraries Department Government of Khyber Pakhtunkhwa, with the support of ST&IT department has introduced the online admission system for colleges. The system facilitates the admission process to government colleges and provide up-to-date information to public.